The countries that rely heavily on censoring the information available to the country residents consider VPNs illegal, but it is not that they are “universally illegal.” By that we mean that using VPN is not illegal in the sense that it harms someone’s life – it’s illegal because it thwarts someone’s plans of global surveillance. The irony is that, in the countries, which need VPN the most, it is illegal, while at those that allow its citizens to access information freely, VPNs are also free. Let’s take a look at some countries that deem VPNs bad and illegal. To make their task of censoring the incoming information in the era of the Internet, the governments that limit Internet access need to pain VPNs in an unflattering light. They are mostly regarded as an essential tool for hackers and snoopers. But are they really? Does that sound like a very harmful hacking software? 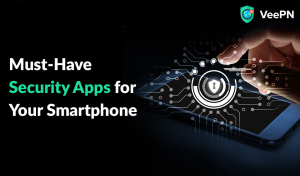 It’s rather a security tool, which promotes affordable data protection. If you can think of a country with a rather authoritative regime, then most certainly virtual networks are against the law there. In the era of the Internet, the information is seeping through any possible cracks in the government firewalls, as they try to mend the protective shield. You are not surprised to see this country here, are you? Well, you should be, because VPNs have barely any use in North Korea, as only a tiny fraction of the society has access to the global web. In 2014, there were only 1,024 IP addresses allocated for the WHOLE COUNTRY. Isn’t that insane? However, VPNs are still illegal in North Korea, even despite the fact that barely anyone can surf the web. TNW reports that there were approximately 7,000 Internet users with a total population of 25.5 million people. This leaves us with a 0.027% of the Internet accessibility. Yikes! China is a flourishing market-based country with the highest population in the world that, surprisingly, relies on censorship and limiting the informational intake of its citizens. You have probably heard of the Great Firewall, a nickname given to a vast system of regulation and technical limitations imposed on the Internet in the country. The Chinese government believes that within the borders of the country the Internet should be solely ruled and maintained by the officials. And, of course, the biggest no-no is social media with its free thoughts and opinion sharing. As it usually happens, users quickly found their way around the blocks and started using VPN services, until, in July of 2017, the government blocked them as well. This small country in Eastern Europe does not look like your typical dictatorship, though recently there have been many unpleasant signs, outlawing VPN services being one of them. Despite not being a part of the USSR anymore, the state government still employs many similar tactics. In 2012, the government outlawed many foreign websites and put a fine of $120, which equals a quarter of the average monthly income of the citizens. After the influx of VPN applications, the governors realized that they should do something with the services allowing people access the foreign websites, and so they banned VPNs in 2015. This country may have started as a rather liberal one after the fall of the USSR, but slightly over the years, it became less and less open to onion diversity and privacy of the citizens. In 2017, Vladimir Putin has reportedly signed a law banning the use of VPNs. Yet, the country is still waiting for the enforcement to take place. 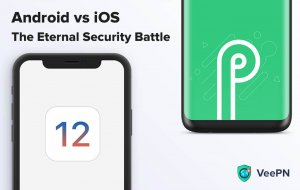 However, technical experts say that, much like with Telegram feud that happened recently, the governmental structure responsible for the ban implementation does not simply possess the technical capabilities to do so. Therefore, VPNs are both not legal and not illegal in Russia at the same time. Schrodinger’s VPNs! Turkey has a long and rather complicated history with human rights and liberties. Though it started off as a flourishing and free nation, when its Islamic neighbors struggled with various troubles, recently the trend has turned into a downward one. The current President of the country, Recept Erdogan, is a vocal protector against social media and the Internet in general. Following the current leader’s opinion, a series of social media bans were imposed in the crucial times. Some websites have been closed permanently, while others frequently travel between the “allowed” and “banned” status. As for the VPNs, the government has led a serious of VPN crackdowns, blocking some services permanently. However, there are still VPN services that work completely fine. Oman is a sultanate, so… yeah. 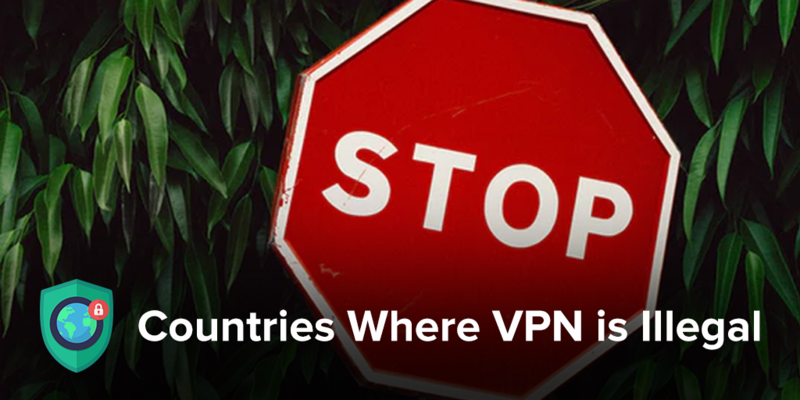 Unlike many other countries on the list, where VPNs are frowned upon but are not enough to get you in serious trouble, in Oman they are. There is no doubts and double-readings to the Oman laws regarding encrypted traffic and private networks – they are illegal, and the usage can cost you up to $1,000 in fines. 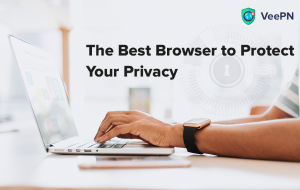 Both individuals and companies are allowed to use the government-authorized VPN providers only, and obviously, those companies keep user logs and are ready to give them away any time. Even before the law was introduced, unauthorized VPNs were illegal, because they were considered a form of unlicensed encryption. This country is by far the most epic one on our list. The Iranian government doesn’t like the idea of the free speech and information exchange so much that they decided to build their own Internet. Yes, you have read it correctly – to be able to cut the cord to the international WWW altogether, but not to leave its citizens without a link, the Iranian government launched the development of the Intranet. In the typical diplomatic fashion, VPNs are not 100% banned, but only those that received official approval are legal. Which most likely means that all the logs and the metadata travel right to the officials’ offices. Though VPNs are not technically banned in Egypt, one of the oldest countries in the world seems to be against the idea of the free and open information distribution. The Internet connection is bad, scarce and very expensive. If you have ever traveled there, you know how bad Egyptian Wi-Fi is. We are not advocating for Facebook, as it is notorious for messing with users’ private data, but the Egyptian government blocked the Free Basics campaign two mints after its launch. The service provided access to Facebook and several other Internet services at no charge and was aimed at low-income citizens. After allegedly the request to transmit all the data to the government directly was denied, the Egyptian government banned Free Basics. The UAE shows us a unique case, as VPN services are banned here only for individual use. Banks, institutions and companies can use private networks freely without the need to report or explain this decision. Individuals are the main target of the ban. It seems that in this case reasons are more of an economic than political nature, but again it’s hard to tell. In June 2014, the Iraqi government decided to outlaw VPNs, explaining their resolution by the desire to thwart ISIS plans. The main slogan of the campaign urged to stop the ISIS and their manipulation of social media, while objectively the ban has only stopped the regular citizens. Under the pretense of social protection, the government has banned social media websites, chat apps and VPN – you know, the usual stuff. However, since it’s quite hard to ban every possible VPN service and every server, the Iraqi government instead opted for banning the Internet access altogether when they feel like it. There seems to be something universal about Asian countries and VPNs – the two just do not work well together. Yet another Central Asian country, called Turkmenistan, has banned VPN usage in 2015. Again, it’s all about politics and diverse points of views. There is only one ISP in the country, so outlawing VPNs wasn’t difficult here. VPN users are subjected to administrative penalties and “preventive conversations,” which is a fancy way to call intimidation. However, VPNs are the least surprising things banned in Turkmenistan. For example, circuses and gold teeth are also outlawed. It’s quite ironic that most of these countries have the word “Republic” in their full names, yet they don’t seem to be catering to one of the fundamental pillars of a true republic – freedom of speech. Disclaimer: we are not advising any of our users to break the law of the states they live in. Before you download and use VPN, thoroughly consider the consequences this may pose for you. When you are traveling to one of the said countries, make sure to check their policies on VPNs for foreigners, as some of them are so strict even that even non-residents can get in trouble.